Bharti Airtel Walkin Drive | Field Engineer Jobs in Chennai | 14th and 15th December 2017. Bharti Airtel has released official notification for Field Engineer positions. Interested contenders can check the Required details, Job description and profile for accurate information. Aspirants who had qualified Diploma, BCA, ITI, B.Sc are only eligible to attend Bharati Airtel Walkin in Chennai 2017. Bharti Airtel has mentioned that only Male Candidates are preferable and kindly ignore if contenders don’t have a bike. Aspirants are advised to check Bharti Airtel Test Pattern as well as Bharti Airtel Model Papers so that they can prepare confidently and can easily crack the Recruitment of Bharti Airtel. To get qualify in the Bharti Airtel interview process the aspirants are advised to check the Bharti Airtel Syllabus and Bharti Airtel Interview Questions to crack the interview. If any of the candidates secure good marks in the selection process those contenders will be selected for the position which they have applied in the company. To know more details about Bharti Airtel Careers keep on visiting All India Jobs for fast and current updates. Involve into Configuring, Monitoring & Troubleshooting of Networks. LAN, WAN, WLAN Installation & Configuration. Understand about DSL, Broadband, Router, and IP Protocols. Analytical skills to analyze customer technical faults for corrective actions. Coordination with cross functional teams CSD, NOC, ISP to provide faster resolutions. Cross function coordination for delivery. Education Diploma, BBA, BCA, BE, ITI (No Arrears). Must have – Bike with DL. Exp Fresher both are welcome. Basic knowledge of (MDF, Pillar and Sub-pillar). Knowledge about WI-FI & Modem Configuration. Driving KPI as per defined Targets. Carry an updated CV and please manage sufficient time for Interview. Kindly Ignore, if you don’t have Bike and Driving Licence. BE, B.Tech are not eligible. 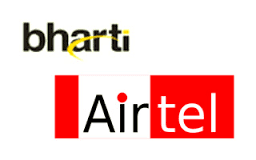 Bharti Airtel Limited is a leading global telecommunications company. Headquartered in New Delhi, India. In India, the Bharti Airtel company’s product offerings include 2G, 3G and 4G wireless services, fixed line services, mobile commerce, IPTV, DTH, high speed DSL broadband, enterprise services including national & international long distance services to carriers. It attains operations in 20 countries across Asia and Africa. Bharti Airtel had over 331 million customers at the end of June 2015. The company ranks amongst the top 3 mobile service providers globally in terms of subscribers. Aspirants can attend Bharti Airtel Walkins in Chennai on 14th and 15th December 2017. In this post we have updated latest information regarding Bharti Airtel Recruitment Drive. So candidates can check out all the data carefully. Landmark: Behind Olympia Tech Park, near Maruti service Center. This page will give clear information about Bharti Airtel Recruitment. If this Job suit, you can attend directly at the above mentioned venue. For more updates regarding IT Jobs candidates can visit Freshers Jobs frequently and bookmark this page.